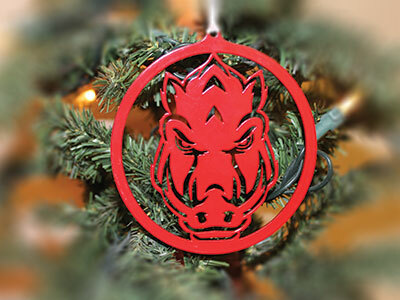 A collection of high quality, laser cut metal art products and gifts. 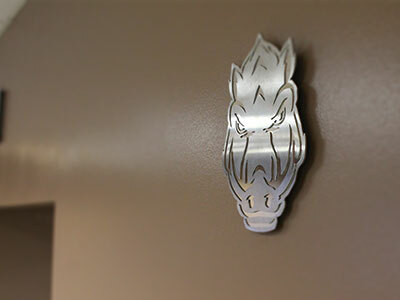 Our officially licensed Collegiate Collection products include steel yard signs and phone stand holders, available in stainless steel or with a powder coated finish. 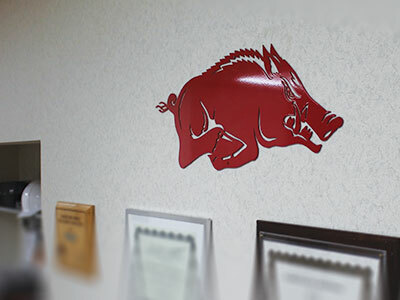 University of Arkansas fans looking for a place to shop for Arkansas Razorbacks gifts will appreciate the growing selection of products that will help you share your passion for Razorback athletics. 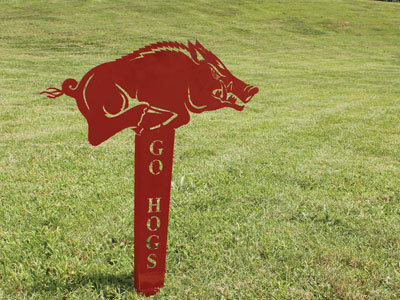 Purchase a yard stake or smartphone stand in UofA school colors. Discover our exclusive line of affordable laser cut gift products including cell phone holders, wall hangings, and business card holders, – beautiful décor that will brighten any home. Our Osage Originals also include selection of pieces that highlight the great outdoors with images of elk and cabins, to hummingbirds and catfish. Browse our unique quality metal arts to find just the right item to enhance a room or the perfect gift. Shop Alternative Design Metal Arts today and choose the metal-work product or gift made for you.